I hate my reading glasses. I just recently discovered that I need reading glasses. My arms are not long enough to hold pill bottles as far enough away from me that I need in order to see the labels. I also realized that squinting with one eye closed wasn’t working too well either. I have tried a whole bunch of different frames, and I look like a complete dork in all of them. That’s right. Sunday afternoon. Messy hair. No lipstick. Took the pictures myself. Don’t you judge me! I don’t know if it’s that my face is lopsided, or if one ear is higher than the other, or if I am just too picky and I can’t find any that I like. (Or perhaps I just don’t want to admit that my eyesight isn’t what it used to be…) At any rate, when I heard that LensCrafters has something called Accufit, which is a state-of-the-art digital technology that measures the relationship between your eyes, face, and frame to more accurately place your prescription in your lenses for clear, crisp vision. It is 5 times more accurate than traditional, manual methods, and is done right there in the store. I hopped over to the LensCrafters website to check it out. In addition to the accurate measurements (which is the important part, of course. I know this.) they have something called LensSimulator, which lets you experience the benefits advanced lenses to find the best option for your lifestyle, but what I’m pretty stoked to try is something called a VirtualMirror where you can try on several different styles and see digital images of what they look like, side by side, at the same time. That will be most helpful! Conner is getting his Driver’s Permit soon, and I know he needs to get his eyes re-checked. LensCrafters often have ophthalmologist offices right next door to them. I am making an appointment for both of us and we’re going to go and get properly fitted with some new specs! I need to not look like an angry librarian in my reading glasses! You can find the LensCrafters nearest you through their website, but also through their Facebook page, as well. Pscha. Im disappointed in you. Make your own. Reading glasses + houndstooth duct tape. Come on!!! Been wearing “readers” for a while now..welcome to the club! I opt for inexspensive ones that I can leave (and lose) all over the house! Its either that or wear them around my neck on a beaded chain…NOT! You still make the reading glasses you do have look cute! I am hoping my lasik lasts for a while– otherwise, I’m on board with you and Lenscrafters! Great tip to the Lenscrafter site. I’ve been wearing readers for… ahem “a few years” and need some proper ones. Lol about the duct tape comment above!! 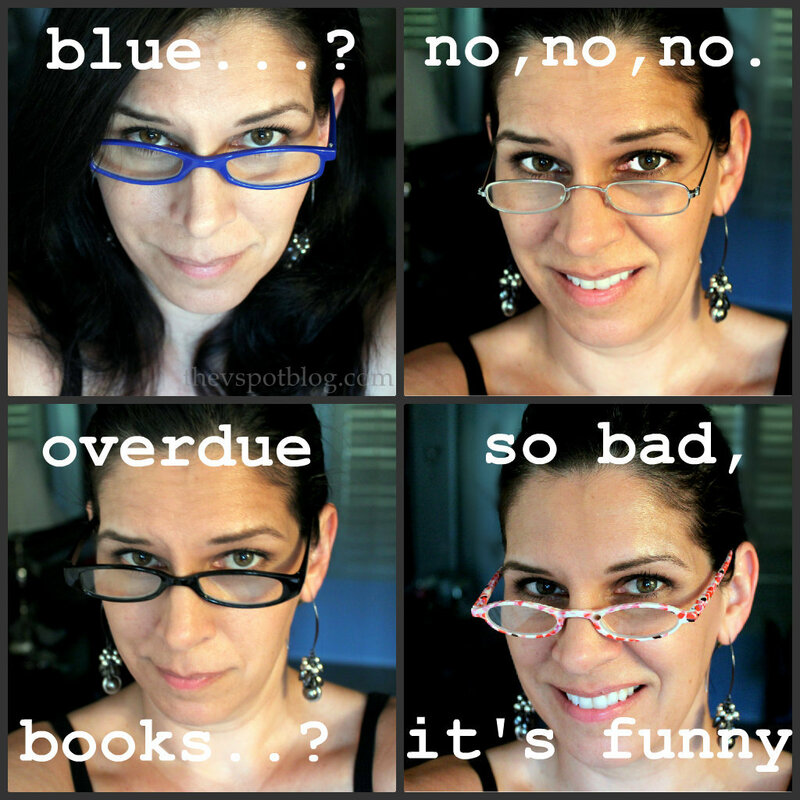 🙂 And I’m sure I’m going to be joining you in the reading glasses department before too long! Wait till you hear the words BI and FOCAL in the same sentence!